She also informs me that her husband has Crohn’s disease and she has discovered a great anti-inflammatory seed called chia seeds. I am instantly transported to that nutty, crunchy texture chia seeds add to my smoothies. It reminds me of the benefits of drinking nutrient-packed, healthy medicinal smoothies. I love the way I can add different ingredients to these drinks and enjoy the taste. This is an efficient and tasty way of bathing myself and my family’s bodies’ in important vitamins, minerals and phytonutrients that we might not be getting from our everyday diet. Recently I read that the nutrient value of the foods we eat and our ability to absorb them is one of the defining factors of our health. Unfortunately, the quality of the nutrients in the food we consume has steadily decreased from 20, 60, and 100 years ago. Plus as we age, in addition to health challenges that may arise, our ability to assimilate food declines. All together it means we are, as a society, in danger of becoming more unhealthy as time goes on. In an article from Scientific American in 2011 entitled, “Dirt Poor, have fruits and veggies become less nutritious?”, it states that fruits and veggies grown decades ago were much richer in vitamins and minerals than the varieties grown today. The main culprits for the decline are soil depletion, pesticides, fast-growing genetically modified foods and picking the fruits before they’ve ripened. In a study in 2004 on 43 different fruits and veggies, the researchers stated that there was a reliable decline in the amount of protein, calcium, phosphorus, iron, riboflavin, and vitamin C over the past century. It would take 8 oranges to derive the same amount of vitamin A as our grandparents used to get from 1 orange. I am all for buying locally grown, organic food from the farmer’s markets but I don’t have the time to be eating the amounts of food that would give me the nutrients and micro-nutrients to be in optimal health. That is one of the reasons why I love the medicinal smoothie. OPTION 1: Buy a good quality undenatured whey protein powder. This type of protein is not heated which allows all the amino acids stay in tact. Undenatured whey protein (ideally from grass fed cows) boosts glutathione levels; the master antioxidant produced in our bodies. Undenatured whey contains cysteine, the precursor to glutathione. This amino acid is destroyed in regular whey protein because it is processed. Some people who are allergic to milk proteins may experience a reaction to this protein and if so use option 2. OPTION 2: Buy a good vegan protein containing rice or a plant-based protein with a combination of pea, chlorella, and/or hemp (the ingredients will vary). I look for minimally processed veggie proteins so their valuable enzymes are not destroyed. FRESH OR FROZEN ORGANIC MIXED BERRIES — Berries are low on the glycemic index (based on the speed in which foods break down into sugar) and are also a rich source of anthocyanins (water soluble pigments i.e. red, blue, or purple). Anthocyanins are powerful antioxidants and research demonstrates their health benefits in inflammation, cancer, aging, and diabetes. 1. Organic green powder mix — Many of these powders contain grasses, chlorella, spirulina, and other veggies and fruits. They also contain some herbs and concentrates that are often labeled a “super-food”. 2. Omega 3 fatty acids — Many different liquid ones from which to choose. The fastest way to assimilate the DHA is through fish oils. Make sure they come from reliable sources that test for heavy metals and etc. If you are older or you have health challenges, you would benefit from both fish oils AND plant-based oils. 3. Chia seeds — are crunchy in texture, these nutrient rich seeds were a long time staple from the Mayan and Aztec culture, have a combination of omega 3 fatty acids, antioxidants, protein, fiber and phytonutrients. They expand in the liquid you put them in. 4. Coconut water/coconut milk powder — Use coconut water for the electrolytes and as a base for the smoothie or use coconut milk powder. Coconut milk powder is rich in medium chain fatty acids and can have a role in deactivating bacteria, fungi and microorganisms. Coconut milk powder is a good source of energy for the body and contains nutrients such as magnesium, phosphorus, and manganese. 5. Powder probiotics — can help restore beneficial bacteria to the gut. You can use everyday, especially if there is an overgrowth of yeast, bacteria and if you have digestive difficulties. Probiotics are also available in goat yogurt and kefir, if you eat dairy. 1. Antioxidant herbs — I use a powder that contains turmeric, ECGC, grape seed extract, quercetin and other antioxidants. Start with 1/2 teaspoon 3 times a week for healthy individuals. 2. Immune modulatory herbs — I use a powder that contains immune-strengthening herbs such as astragalus and reishi powder. Use this 3 times a week in a smoothie or everyday if immune system is weak. 3. Maca — a South American root used to help increase libido and enhance fertility. 4. Adaptogenic herbs — these are powerful substances that help us adapt to the stress in our environment. Included are rhodiola, Siberian ginseng, ashwaganda, and others. These are also good for people who have low energy. These can be consumed daily. 5. 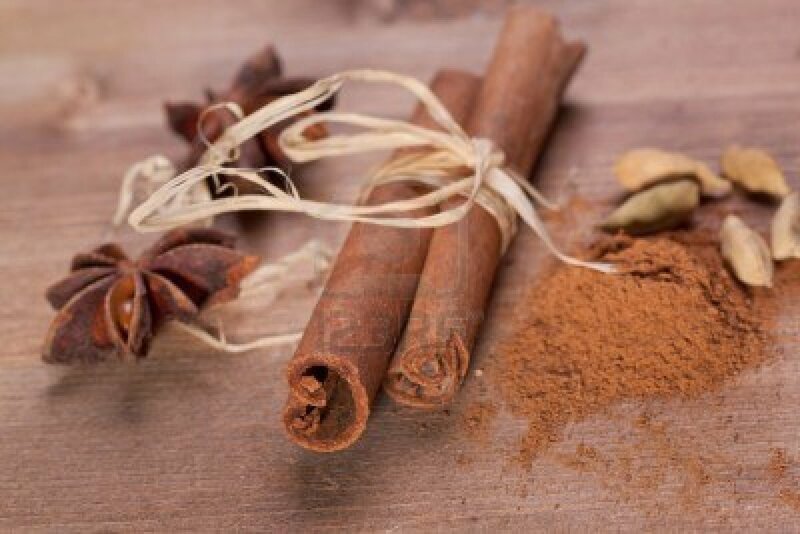 Cinnamon and Cardamon — according to Chinese Medicine principles, if you have a cold constitution you should not ingest cold nutrients. When we add cinnamon and cardamon (warming herbs) the smoothie warms up. This is especially true in winter. 1. Avocado/Tahini — are useful to add for increased calories. In my office we carry many of the above mentioned items. We’ll help you figure out how to add medicinal smoothies to your and your family’s lifestyle. These smoothies are beneficial for increasing immunity, helping cancer patients ingest nutrients, and increasing overall health.